Charlotte Reads Classics | Slowly, slowly, she sipped a sentence. 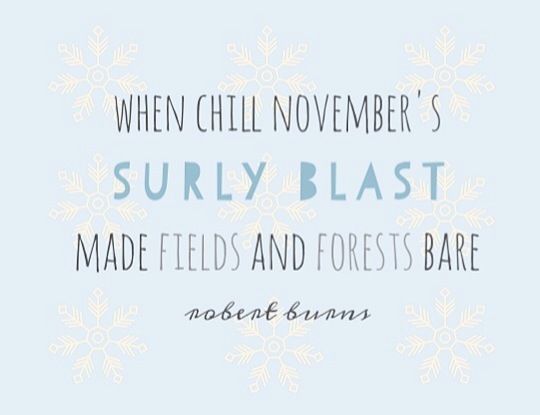 Every year I am taken aback by nature’s force in changing seasons. When summer arrives – glorious! The light and the colour makes me feel as though I have been looking at the world through a film of silk that has slowly rippled away. For some, the end of summer is a terrible and inescapable fate. For me – not so. There is work to be done in the winter. How could it be any other way for us readers? September is forever associated with going to school with sharpened pencils and enthusiasm and it will always make me yearn for the first experiences of discovering and dissecting great novels. Hugh Walpole (more on him later) said The years of our childhood are of course the foundation of all our life. We never altogether emerge from them. So it looks like I’ll be stuck with odd urges to write essays about literary devices forever and ever. October then. Bringing a dark and nostalgic spirituality – I want to read ghost stories and I will read Wuthering Heights for the billionth time and I wouldn’t have it any other way. November and December come forth with traditions – the Victorians, please. If you have been reading Charlotte Reads Classics since my old, infinitely more productive writing days, you’ll know that nothing fires up my enthusiasm like a book with big landscapes. Most recently found in Sons and Lovers, akin to the natural, pastoral, wildness of the Brontës. This is what I need in the winter – big reading. My winter book this year might be The History of Tom Jones: A Foundling by Henry Fielding. Have you read it? I also would like to try The Castle of Otranto this month to get a quick gothic fix. If I should have a studious book blogger month, I would like to compare the new Rosamund Bartlett translation of Anna Karenina to my dearest, most beloved copy. We shall see what the nights bring. The first volume of The Herries Chronicle, which recounts the dramatic fortunes of one family from the eighteenth to the early twentieth century, in a magnificent Lake District setting. Here is fiction in glorious, sweeping measure, set against wild and beautiful scenery and crowded with fairs, balls, weddings, duels, witches, abductions, murder and romance. Rogue Herries tells the story of the larger than life Francis Herries who uproots his family from Yorkshire and brings them to live in Borrowdale where their life is as dramatic as the landscape surrounding them. Proud, violent and impetuous, he despises his first wife, sells his mistress at a county fair and forms a great love for the teenage gypsy Mirabell Starr. Alongside this turbulent story runs that of his own son David, with enemies of his own, and that of his gentle daughter Deborah, with placid dreams that will not be realised in her father’s house. The book was published in 1930 and the author was a contemporary and friend of writers like Henry James, John Galsworthy and Virginia Woolf. Whilst they have entered the canon, Walpole’s popularity seems to have vanished almost entirely after his death. There also seems to have been a bit of a scandal regarding W. Somerset Maugham’s novel Cakes and Ale. So with positive and negative reviews, we’ll see. Mood lighting. No winter reading should be indulged in harsh glare. Candle light whilst romantic, will hold you back. Aim for something in between. Heating. It’s cold outside and you will need to be tucked under your finest quilt or woolly blanket for the most immersive reading. Hands can be warmed around a hot mug. Get someone to cook something homely for you. Reading material. Preferably over 400 pages because you’re compensating for an extra four hours daylight. Pick a classic because they’re tried and tested. Bonus points for themed reading. Art is an old language with a great many artificial affected styles, and sometimes the chief pleasure one gets out of knowing them is the mere sense of knowing. I enjoy the art of all sorts here immensely; but I suppose if I could pick my enjoyment to pieces I should find it made up of many different threads. I love this quite from Dorothea Brooke in Middlemarch and it is particularly handy when I want to write about an author with a very specific style. This is a writer who is so refreshingly original that it is a pleasure to read his books solely for the pleasure of knowing them. There is no way you could read Gabriel Garcia Marquez and mistake his writing for anyone else. One Hundred Years of Solitude is set in the fictional village of Macondo, in a typical (if there can be such a thing) Latin American country. The things Macondo faces are things that Marquez would have experienced during his childhood in Columbia: civil war, fruit plantations, small villages transitioning into modernity. Whilst the story is of its place, there are plenty of universal themes here; life, love, sadness, loneliness, tradition and family. Marquez once said that “[a]fter the death of my grandfather, nothing really happened to me any more”. This happened when he was eight. In many ways people read his signature style of magical realism as the world seen through the eyes of a child. This novel is certainly full of that sort of imaginative power. Firstly, Marquez is king of beautiful sentences. Just read it! The village is founded by the family and has a real Garden of Eden sort of vibe. The Bible here is the magical element mixed with the reality of evolution (‘prehistoric eggs’). This immediately sets the tone for the kind of storytelling that follows. This is a story of a town who suffers from insomnia, of alchemy, gypsies and revolution. Family history becomes myth and legend, and the imagery is outstanding. The only problem I had whilst reading One Hundred Years of Solitude was that I found it hard to keep all the characters straight – there are about twenty-five Aurelianos! However, even this has a poetic explanation: Time in this novel is not linear and generations of family history is told as though it was happening all at once. Plenty of characters live until well over a hundred, and even the dead don’t always keep quiet. People say Gabriel Garcia Marquez’ writing is like a carnival and I would agree. It is colourful, always moving, vibrant, strange and foreign. A wonderful combination. 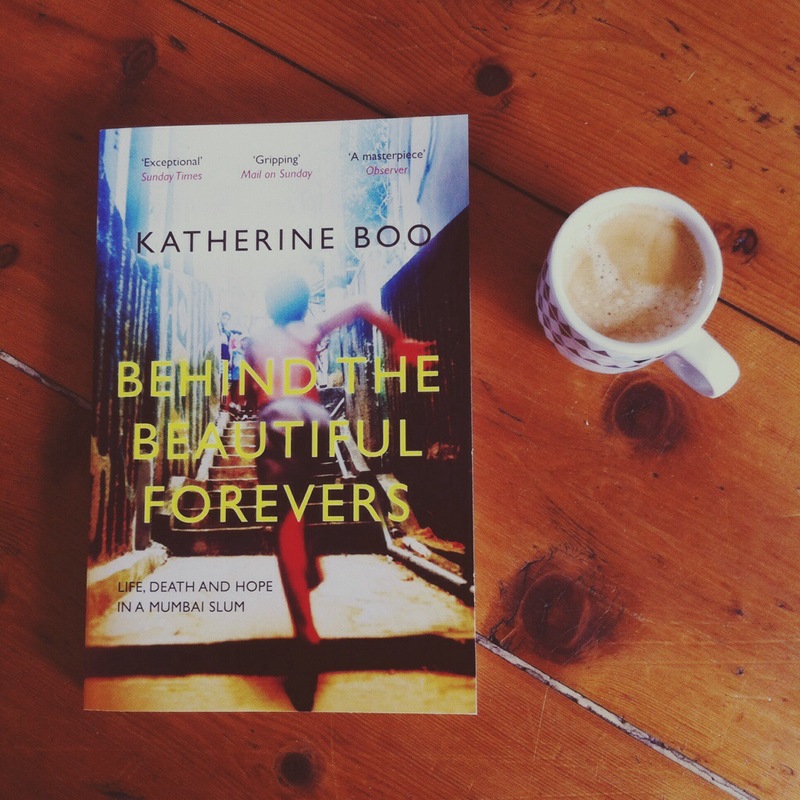 Behind the Beautiful Forevers is the sort of book that illuminates a very small section of our ever surprising very large world. I haven’t read any other books about India, nor do I know anything about its slums, other than a stock catalogue of images you’d probably see on a charity advert. Rather than regurgitate these images of poverty, Katherine Boo focuses instead on India’s socio-economic status and asks what opportunities are there for people without status or privilege to work their way out of poverty? I read Behind the Beautiful Forevers a couple of weeks ago, because it was chosen by John Green to be a part of the Nerdfighter Book Club. A good rule of thumb: If John Green mentions a book on one of his videos, it tends to be worth reading. Katherine Boo’s book about Annawadi – a slum that skirts the edge of Mumbai’s airport – has the additional acclaim of being shortlisted for the Samuel Johnson prize. Now that is a prize that always has an interesting shortlist. The title refers to a long run of billboards that run along the edge of the airport in Mumbai like a perimeter fence. The adverts are for Italian tiles that will be Beautiful Forever. Like the ever watchful eyes T. J. Eckleburg in the Valley of Ashes, the Beautiful Forevers are all that separate glittering new high rise hotels from the trash collecting entrepreneurs and slum lords of Annawadi. Here capitalism is king – money is what you need to get on. Entrepreneurship and education are ways to do it. Corruption is another. Of course it is important not to judge other societies by Western standards, but as a western reader this is a perspective that I cannot escape writing from. My mention of The Great Gatsby and F. Scott Fitzgerald’s metaphors come from my own opinions as regards to morality, money, life and the construction of stories. In our own society, corruption is perhaps no less prevalent but morally wrong. Look at the coverage of business tax dodging, for example. The media’s condemnation of such practices is often to reference how x amount of £ could be spent on healthcare or schools or protecting vulnerable people. However, who can really say what they would do in such a situation? Perhaps you would exploit those same loopholes if you had a fancy advisor and a lot of cash. Either way, Gatsby is new money, but it is dirty money. Money made through morally questionable means. In Annawadi, corruption is something more ordinary. Corruption is a way of making money and it is just another potential path to social mobility. All in all, it feels important to look at the parts of the world that are out of reach. Being part of a family, a generation, a country, are all specifics. Thinking bigger for a moment, I wonder whether we are struck by stories so foreign in order to better comprehend what it is we are collectively capable of achieving. Water and ice were made of the same thing. He thought most people were made of the same thing, too. He himself was probably little different, constitutionally, from the cynical, corrupt people around him – the police officers and the special executive officer and the morgue doctor who fixed Kalu’s death. If he had to sort all humanity by its material essence, he thought he would probably end up with a single gigantic pile. But here was the interesting thing. Ice was distinct from – and in his view, better than – what it was made of. He wanted to be better than what he was made of. In Mumbai’s dirty water he wanted to be ice. He wanted to have ideals. 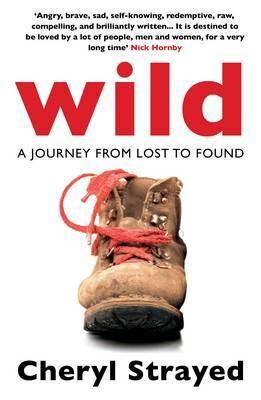 The wild brings out an innate reaction in us – to be completely within nature, to lose ourselves, to philosophise about finding our way. The natural world and literature often travel together, but the best literary journeys are those with a formidable, sublime beauty. Those that are great and terrible. So it goes with Cheryl Strayed’s solo epic trek along the Pacific Crest Trail. She leaves with little experience or planning, armed with books for solace and the need to be alone. The book begins with heart stopping grief – her mother dies unexpectedly, a few weeks after being diagnosed with cancer. Strayed’s words here cannot contain the incomprehensible, gut wrenching loss she felt; they were unbelievably moving. I sobbed in the bath. The crux being, how can you survive without your mother? How can you be yourself without her? Walking is not a simple activity here. Walking is a brutal, blistering, toenails dropping off kind of drudgery. Days are counted in miles, in footsteps. The walk itself is the goal. The trail becomes her life. I love an epic journey, the mundane made uncultivated. I love the numbers game – steps, miles, kilometres, pennies, meals, and hours. I want to know how life is divided and measured. What is worth our time? What is authentic? When Strayed finished walking and mused about it’s meaning, she obviously didn’t know how her life was going turn out. She didn’t know that she would be writing about the hike, a decade or so later, and what the journey would mean to her when she did – To understand its meaning without yet being able to say precisely what it was. 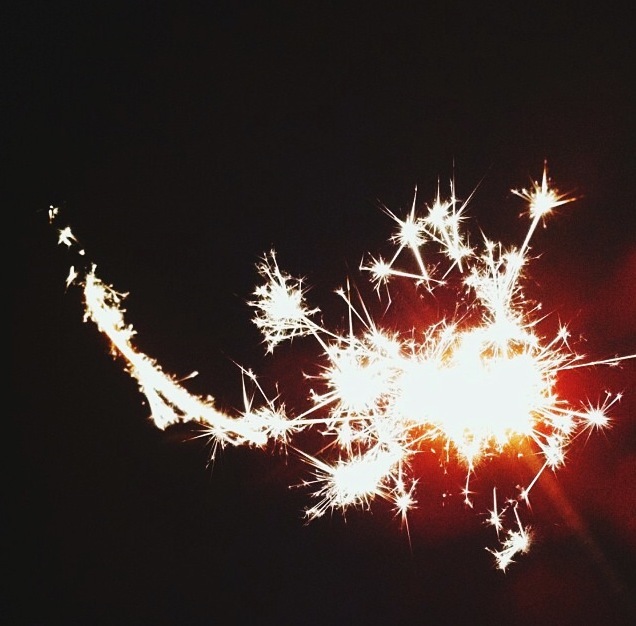 The meaning of those long summer footsteps was intangible, elusive, but real nonetheless. It was wild. Let me know of any travel writing or great literary journeys you have read and would like to pass on. In the country all was dead still. Little stars shone high up, little stars spread far away in the floodwaters, a firmament below. Everywhere the vastness and terror of the immense night which is roused and stirred for a brief while by the day, but which returns, and will remain at last eternal, holding everything in its silence and its living gloom. Sons and Lovers is the unease you feel at night, the light in the morning when you set off for work, and the still and quiet moments with your family. It is the way you question the path you are taking and where you wanted your life to go anyway. It is the mud stuck to your shoe, the wind tangling your hair and the salt on your lips. Even with all the reading and thinking and discussing of Sons and Lovers that have made up a big part of my life over this last week, this is a novel that defies explanation. It is a gut novel, a spirit novel (and those are my favourite). Honestly, it is all of these things, but it is none of them too. No one thing gets to the heart of it. When I was reading, I kept thinking that I felt like I was reading a very English novel – it is pastoral, natural, and really the sort of novel that was defined by the nineteenth century. It begins like Middlemarch: Spanning history and geography, social drama and conflict. The most interesting parts of this book were the conflicts between different kinds of love – familial, soulful, romantic, passionate, friendship. Paul, the second son, has a relationship with his mother that you could compare to the attachment of a young child. He has no desire to live with any woman other than her. They were both very happy so, and both unconscious of it. These times, that meant so much, and which were real living, they almost ignored. The mother/son bond is something that critics highlight as an autobiographical element. From reading around a bit, it seems that whilst Lawrence considered the book a tragedy in the classical sense, he was offended by the (inevitable) Oedipal comparisons. I think most of his female characters were quite one-dimensional except for Mrs Morel. He writes the women in the book to be a bit like men, but with absences. A lot of the book was exploring what defines women and men; how are they different and how do they live together. “Here’s the sea-coast morning, big and permanent and beautiful. There is she, fretting, always unsatisfied, and temporary as a bubble of foam. What does she mean to me, after all? Yes, sometimes the writing was obvious and a lot of the time I felt like rolling my eyes. Yes, I really think Lawrence was capable of writing women as well-rounded as men and I really wish he had done. Yes, a lot of the time this book made me feel sad. However. Sons and Lovers, you were such an unexpected joy. Edit: I read this with o, whose writing is as impeccable as her literary taste. Here is a link to her excellent review of Sons and Lovers. 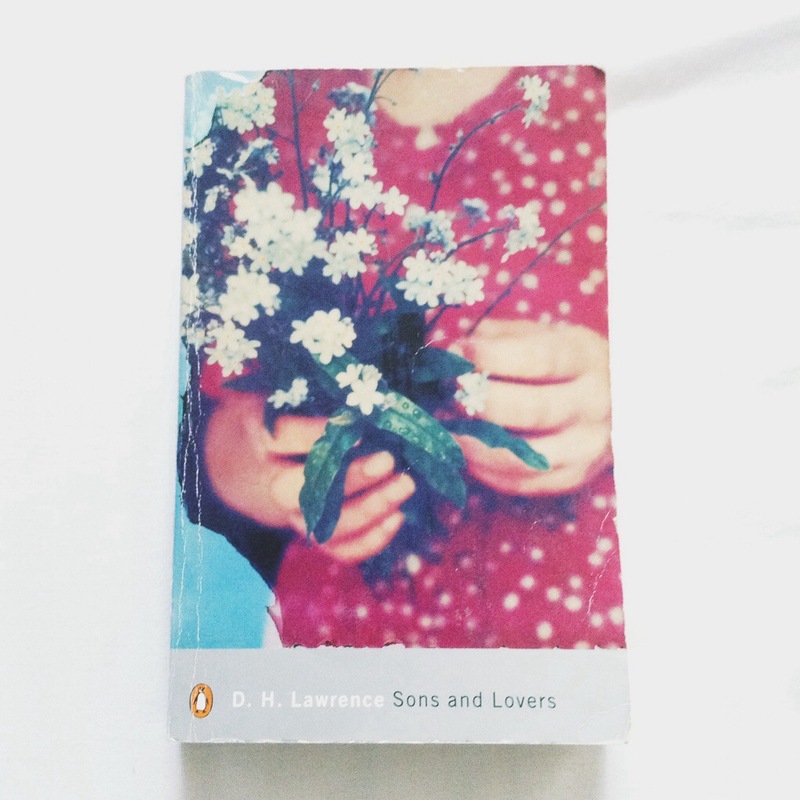 This week I have been reading Sons and Lovers, with some surprising results. Firstly, I have fallen for this book. I miss it when I’m not reading it and I’ve started looking forward to my commute (I have a new, longer but more picturesque train journey) because it means more minutes I can spend alone in the company of my new book. This comes as quite the surprise because I have only ever read one other D. H. Lawrence novel – Women in Love – and hated it. I’m not actually sure why I even decided that I should buy another of his books, but there you go. Glad I did. The beginning of Sons and Lovers follows Mr and Mrs Morel through their early years of marriage. They live in a mining town with young children and not much money. It is quite a depressing beginning to the story – life is a struggle and their marriage is unhappy. They live in a row of houses alongside the other miners and their families, which leads to a very public sort of life. The houses are joined together and people are always out and about in the alleyways that run along the back. There are no truly private spaces. Every Friday, Parker and the other butty put by a portion of the stall’s profits for Morel’s wife. And the neighbours made broths, and gave eggs, and such invalid’s trifles. If they had not helped her so generously in those times, Mrs Morel would never have pulled through, without incurring debts that would have dragged her down. The prospect of her life made her feel as if she were buried alive. I don’t think we see marriage today as permanently as it has been in the past. Here, Mrs Morel comes to despise her husband (this isn’t a spoiler, I promise! It’s on the blurb!) but her lot is completely tied to his. She has young children, she has no means of making a living – she is imprisoned by his successes or failures. Books like Sons and Lovers always make me wonder about men, women and relationships. Readers today can appreciate both sides of the marriage because the roles of men and women aren’t as fixed as they were. I can appreciate that having to work long hours in a dangerous and grueling job for very little wages would be both stressful and isolating. The Morels seem hardly able to connect with each other. She falls out of love, he doesn’t. The time they spend together becomes a pause for her, something to endure before her real life continues. For him it is a gap, an absence, a lack. He needs her for comfort; she needs him for means of living. “But it’s as well to be a woman as a man,” he said, frowning. “I should think women ought to be as glad to be women, as men are to be men,” he answered. “But what do you want?” he asked. Next, Part Two, when the children are grown up. It will be interesting to follow the changing attitudes that come with a new generation and the end of childhood innocence. It has been months and months since my last Classics Club read – but at last the wait is over. 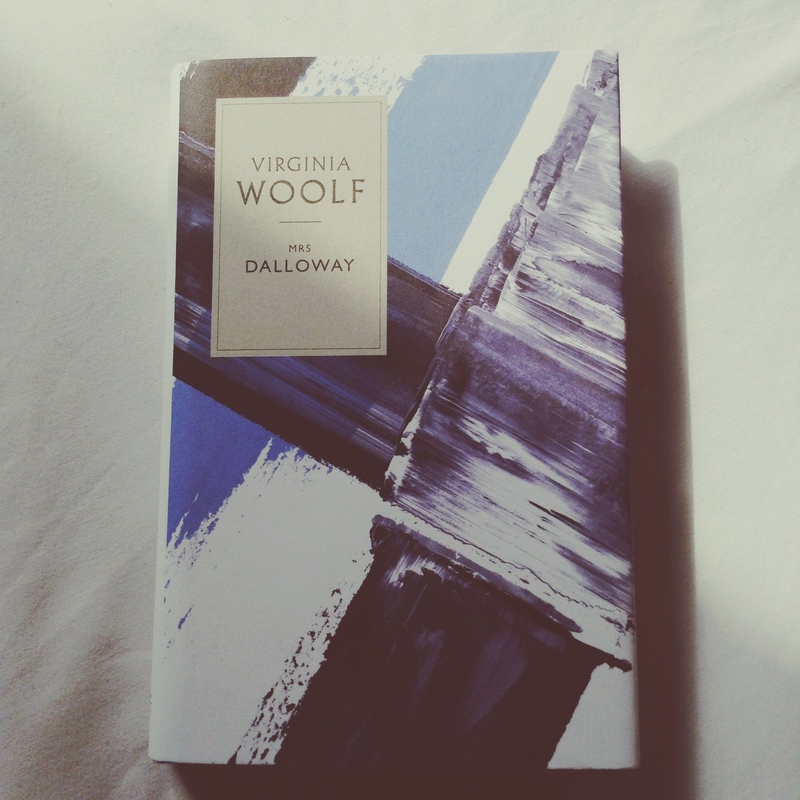 I have read book number twenty-one and it was Mrs Dalloway. There is a lot to say. Virginia Woolf as usual, has provided me with heart burstingly beautiful writing, depths that cannot be explored and yet more observations on the broader issues of reading. Well done. The quotation at the start of this post is composed of my favourite sentences, those that really show how I felt about reading Mrs Dalloway. The writing is beautiful and so human – we can all identify with the comforts of home. We all have unique soundscapes and familiar images that we think of in a golden dappled sunlit sort of way. However what is an old devotion to one person is voyeurism to another. A recurring theme with the modernists (hello, Joyce) is that whilst you can experience the world through the eyes of a character, it is impossible to completely understand every nuance of another person’s life. This is as true of the characters in Mrs Dalloway as it is of Woolf. I loved this section, the imagery of the ancients brought to life in 1920s London, the persistent spirit of humanity. I loved it more when I read the notes and saw that this imagery comes from a song from All Souls’ Day, traditionally when dead lovers return to life. If I hadn’t known this, I wouldn’t have made the connection with Peter, Clarissa’s former flame, returning from India back into her life. In this way, Mrs Dalloway wasn’t always an easy read. There were parts I didn’t properly appreciate until I went back and read the Introduction. Mrs Dalloway herself, being the major one. As a title character I thought she was very weak, ultimately shallow and toying with people. But this is just one (shallow) reaction. She is also a woman living in a time where marital status defined women – the book isn’t Clarissa Dalloway, after all. She is embedded in society and convention and about to be eclipsed by her daughter. She is thinking about her life constantly, as we all do – people from her past reappearing make her think about how people change. So maybe what is important about Clarissa is not who she is, but that she is human. The change of heart I had towards her made me think, is it a plus or a minus when books need to be explained? It is a different kind of reading that looks to interpret literary devices and intentions, rather than something that grabs your attention and has you reading until dawn. Is one more valuable than the other? What do you think? If I were to imagine the narrative of Mrs Dalloway, its long strings stretching through and across the streets of London, I would think of curling ribbon or ivy tendrils, something that could creep and swerve towards the skyline just as easily as it could crawl along the ground. The reason I think of this novel as clambering upwards as much as reaching across is determined by the nature of Virginia Woolf’s writing. As her writing twirls and flits into one mind or the next, I pictured a London street scene; frozen in the midst of movement, as the author did nothing more than guide us to listen to one mind or the next. Reading stream of consciousness is fascinating whilst demanding of concentration. So far I am reminded of the challenges of Ulysses: How is it possible for me, the reader, to pick up on and understand every nuance in someone else’s mind? Their memories aren’t mine. Then, while a seedy-looking nondescript man carrying a leather bag stood on the steps of St. Paul’s Cathedral, and hesitated, for within was what balm, how great a welcome, how many tombs with banners waving over them, tokens of victories not over armies, but over, he thought, that plaguy spirit of truth seeking which leaves me at present without a situation, and more than that, the cathedral offers company, he thought, invites you to membership of a society; great men belong to it; martyrs have died for it; why not enter in, he thought, put this leather bag stuffed with pamphlets before an altar, a cross, the symbol of something which has soared beyond seeking and questing and knocking of words together and has become all spirit, disembodied, ghostly – why not enter in? he thought and while he hesitated out flew the aeroplane over Ludgate Circus. This is why I have been thinking of Mrs Dalloway in terms of a full range of movement. As the story is firmly rooted in the human mind, so the narrative follows us. We all spend a lot of time thinking about day-to-day, mundane, low-level things. Occasionally something happens that makes us think about grander, higher concepts, like philosophy or art or religion. Not just that, these higher concepts are the things that connects one person to another, that forge ideas about what makes us human, or what is important in being human. A man can be seedy-looking, carrying a leather bag whilst an aeroplane flies overhead and if you were a passer-by then perhaps that is all you would see. The greatness of Mrs Dalloway, in the first thirty pages and my humble opinion, is that Woolf makes the internal external. The seedy-looking man draws his conclusions about the power of religious imagery and we would have been none the wiser. I feel the same way about Charlotte Reads Classics. I haven’t been writing mostly because I haven’t read a truly good classic novel in quite some time. Perhaps the consequence of reading nothing but the English literary canon for two years is that you need some time to rediscover books again. Not just the books that show up time and time again on must read lists (oh, I do love a good must read list). I’m talking about real, scanning the shelves, never heard of the title or the author, judging by covers, reading the opening line in the book shop and then racing home to read it in one afternoon kind of reading. The reading I did as a child. The sort of reading that made me fall in love with the very act of whirlwind book affairs. I miss writing about this sort of reading, I miss knowing what you are reading, and I miss talking about books with all of you. I thought about starting a new blog but lets face it, so much of my tastes (reading and otherwise) are pure nostalgia, so why leave all of this behind? Instead, a little face lift and a new direction. I went to Haworth yesterday – Brontë country – to walk across open moorland and revel in the colours of the landscape. Something about the fresh air and the quiet got me in the mood for writing again, writing about reading no matter what book I have in my hand. I hope you have no objections, maybe a little bit more of my life too. I need some suggestions of what to read next. I do want to try something a little more heavyweight than the huge stack of YA novels I’ve devoured, but I am not sure of anything seriously challenging right now. For example I have been thinking about a War and Peace re-read to brush up my commentary – but this is a project for when I am back up to speed. For now, possible contenders are Mrs Dalloway, Sons and Lovers, or maybe a bit of Robert Graves’ Greek Myths.